If you are new to the concept of Degustabox, its basically a monthly subscription service where you get a huge box of food and drink surprises to your door every month. You'll expect to see a wide range of brands and some new exciting products that are on the market. This is something the whole family can enjoy, and you may even find something yummy that you wouldn't have necessarily popped in your weekly food shop. It's Degustabox time again and this month is full of lovely little health goodies. 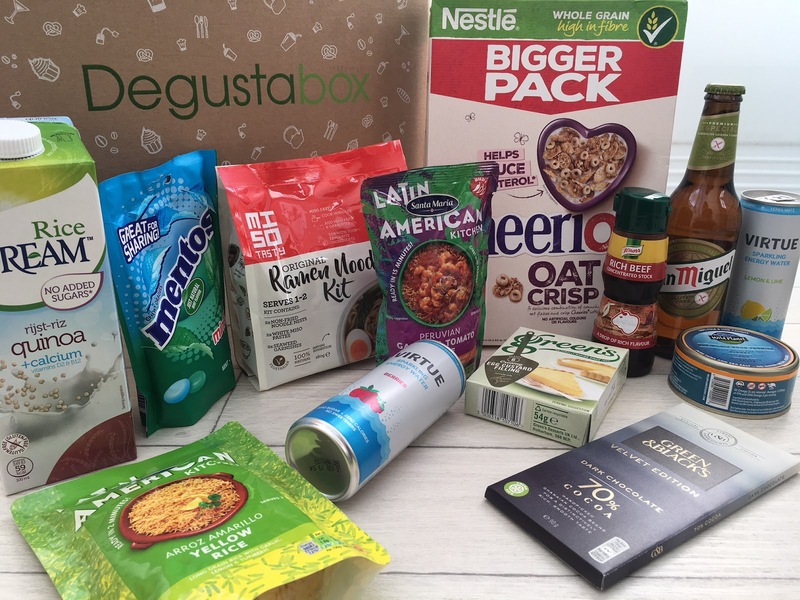 If you are new to my blog and haven't heard of Degustabox before, it's basically a monthly food subscription service where you get a big box of surprise food, and drinks delivered to your door every month for the whole family to enjoy. I have been getting this for a long while now and still to this day I look forward to seeing what's inside. Usually the contents include a few new things on the market to try, which is always good as it introduces you to new things you never would have thought of trying. For me, this month has been all about skincare. I have been trying a few new products and switching up my routine a little. I am still trying out a few facial oils that I'm liking so far, but haven't been using long enough yet to give a proper opinion on them. If you follow me on Instagram (@zoelou_) you may also see I have developed quite a problem with buying highlighters...I just feel like I have to try every single one going haha -I need help seriously!